SAMARA, June 20. /TASS/. 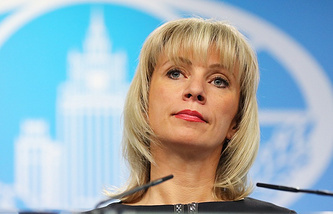 Russia has information that the members of the White Helmets NGO in Syria have close ties with terrorists, Russian Foreign Ministry Spokeswoman Maria Zakharova told reporters on Wednesday. "We know, we are not just confident, but we know, we have information that the members of the White Helmets have close ties with terrorist groups in Syria, namely Jabhat al-Nusra (outlawed in Russia). This is confirmed by the reports of independent journalists, who visit Syria, and this concerns both Russian and Western [journalists]," Zakharova said. 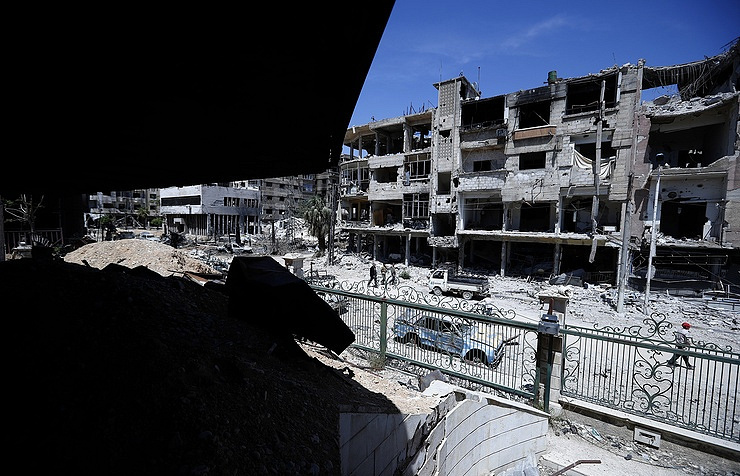 But unfortunately, this information is not disseminated in the West on a large scale as "it just does not fit the line and the concept that ‘Assad must go,’" the diplomat said. The White Helmets have made numerous claims that the aviation of Syria’s government forces delivers strikes against areas where civilians live. This NGO was among those which disseminated reports on the use of chemical weapons in Syria’s Douma on April 7. The Russian Foreign Ministry slammed this report as a bogus story, and the Defense Ministry said the White Helmets was not a reliable source of information as it was known for spreading fabricated news. Officers from the Russian Center for Reconciliation of the Opposing Sides in Syria visited Douma but did not find any traces of chemical weapons.